we have ministries to engage every member and develop their talents. The Media Ministy provides audio, graphics, Video, Internet and other media services here at Cedar Grove. Our mission is to use all forms of media to assist our church ministry. We belive that we can use these technologies to help reach those in search of salvation and fellowship.. 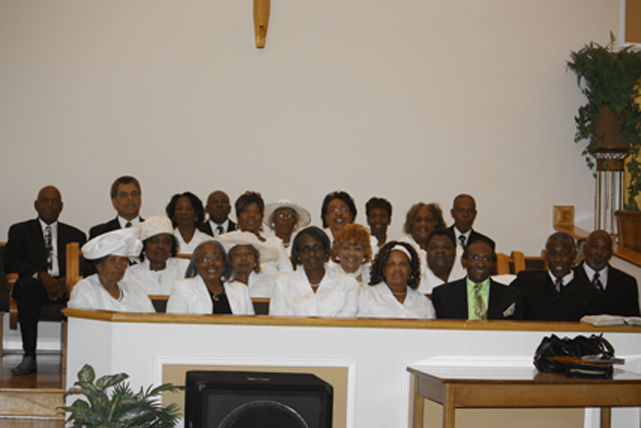 The New Members Ministry disciples new converts and new members to the fellowship and worship practices of Cedar Grove Baptist Church. 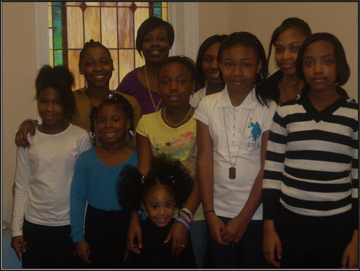 The Youth Ministry is to provide our youth with opportunities for Christian growth. 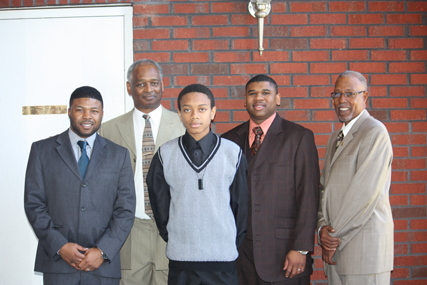 To promote, instruct, encourage, and Minister to the needs of the youth. We believe that it is in the best interest of every child to enter into a personal relationship with Christ. Our friendly Ushers greet people arriving and provide assistance to visitors and members to ensure that all is comfortable and ready to receive the Word of God. 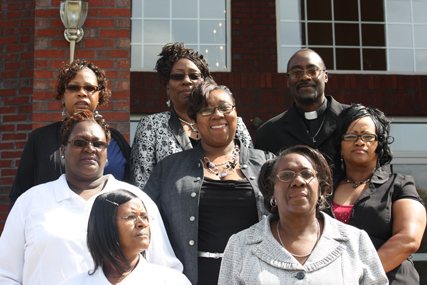 The pastor's aide presently has thirteen dedicated members blessing and supporting the Leader of this flock. During the year, we have an annual program, and our Pastor's appreciations. 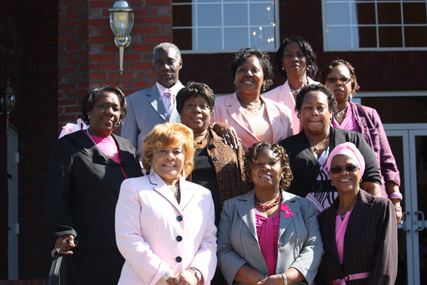 The Event Committee Plans and executes Church sponsored events and programs. They seek to provide faith building, soul reviving programs with Christrian education and Kingdom building at it's core. The Missionary Ministry seeks to reach others through witnessing, visiting the sick and shut-in, and carrying for the needs of all of God's people, locally and world wide. 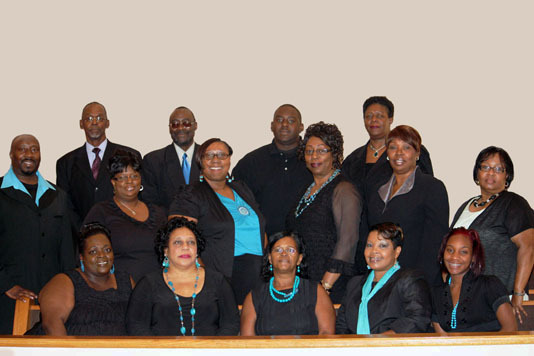 The Hymn Choir functions to help prepare the hearts of the congregation to receive the Word of God by singing psalms, hymns and spiritual songs, which helps to usher in an atmosphere of Praise and Worship. The Musical Choir provide a spiriual atmosphere for the young and yong in heart by the singing and music of both contemporary and traditional songs. Our Greeters welcome all who enter our church. Greeters assist visitors in locating various areas of the church. They also provide information on various ministries. 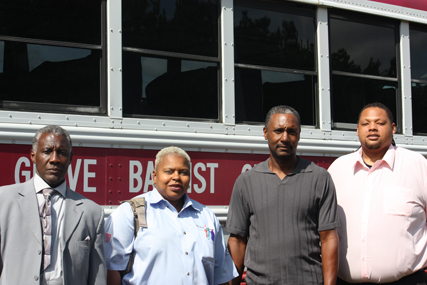 The transportation Ministry provides transportation to members and the community to attend scheduled programs and events. The Men Of Standard are preparing and empowering our leaders of the future, today. Through the guildance of the elders and with the insipration of our Lord and Savoir, Jesus Christ. 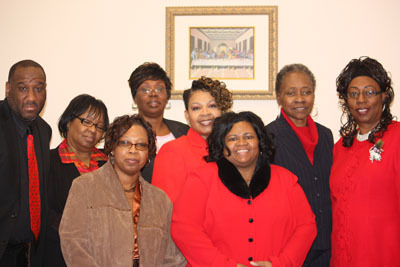 The College Ministry provides information, advice and opportunities to assist our members in collegent matters. 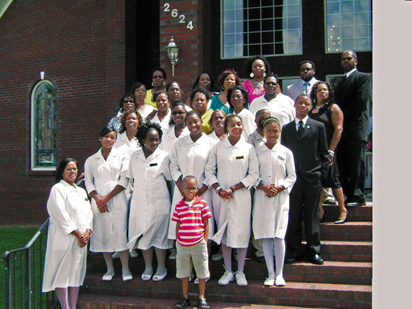 The Young Women's Auxiliary here at Cedar Grove Missionary Baptist Church is under the direction of the Joint Missionary Society. 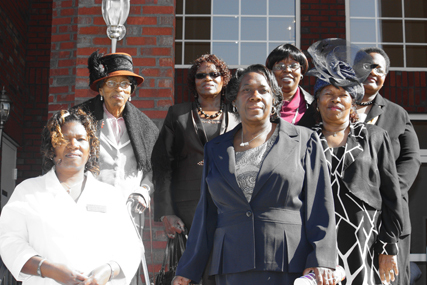 It gives the young women of Cedar Grove the opportunity to participate in Home and Foreign Missions with women of the same age as themselves. A Holy and righteous Church must have leaders of the same description in order to stand. 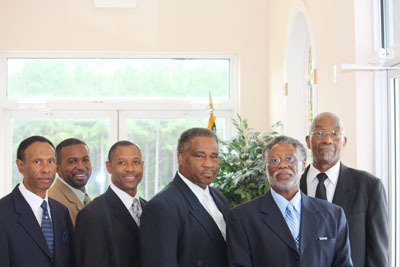 Cedargrove has filled those requirements in receiving God sent candidates for the roles of Pastor, Associate Minister and Deacon. We are blessed to have men and women of faith in each, and receive encouragement though their counsel and teachings. Reverend Harold E. Harris is a God-fearing, born again christian who preaches and exegetes the unadulterated Word of God. He is the husband of LaTonya Harris and the father of six (6) beautiful children. 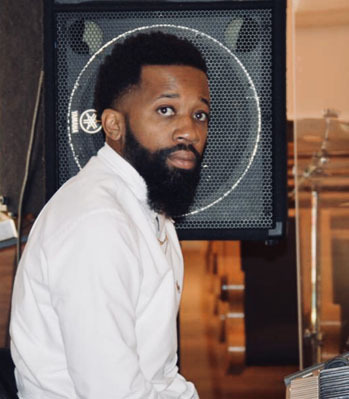 He graduated from the University of Phoenix with a BS degree in Business-Marketing, has a degree in Computer Aided Drafting and a degree in Professional Photography and Imaging. Future plans include attaining a masters in Christian Studies. 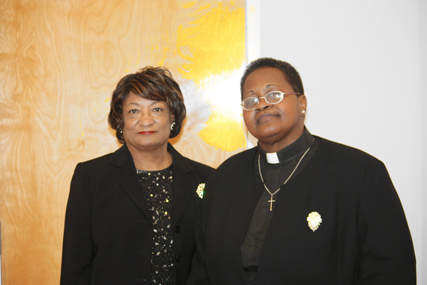 He attended Chicago Baptist Institute and was a member of the Kankakee ministerial Alliance. 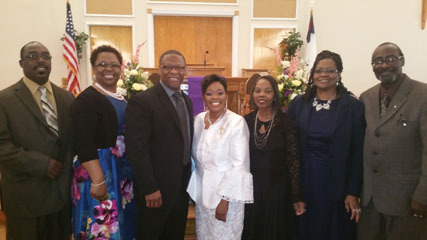 In addition, he started the “Knowledge for Power Bible Hour” and “Young Men Empowering Ministry” in the Kankakee District by way of Christian Hope Missionary Baptist Church in Hopkins Park IL, where he was the Senior Pastor of a thriving and growing church for 10 years. In December of 2005, a job relocation brought him to Fort Mill, SC where he was the Packaging Supervisor for two (2) years. He is now the Packaging Supervisor in G&W labs in Lincolnton, NC (nine years). 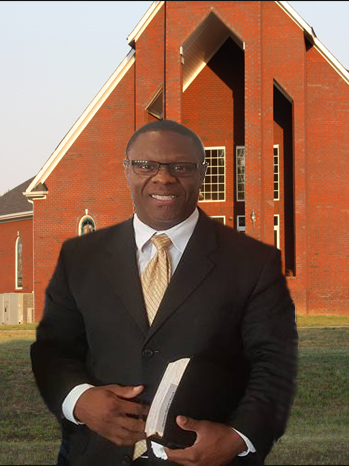 In 2006, Reverend Harris became the Senior Pastor of First Mount Zion Baptist Church in Great Falls, SC where he led the flock for eight (8) years. Reverend Harris’ mission is to nurture a growing church that understands the importance of kingdom building and outreach ministry. He understands that charity begins at home and spreads abroad and that church growth and congregational edification is critical. 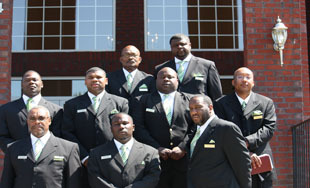 Cedargrove has been blessed to have licensed over 12 Spirit filled Ministers of the Gospel over the years. many now pastoring their own Churches. 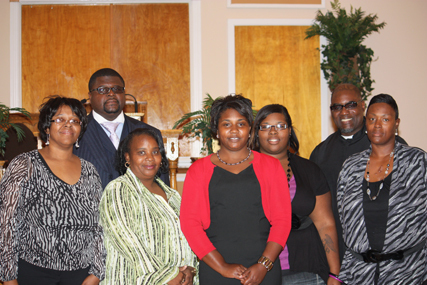 We currenly have 7 Associates, faithfully serving the church and the community. Pray for, and with them as they continue to do God's will ( Rev. Juanita Douglas not pictured). Leads and develop the music ministry of the Church , through praise and worship song. The role of Deacon can never be taken lightly and should always be respected. 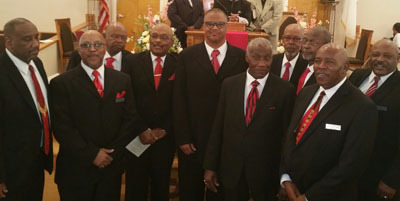 Deacons receive ordination and are charged by God to support,teach,guide,and lead in conjuction with the Pastor. Our Deacons live their roles daily and we thank God for them. Deacon Edward McCrorey not pictured. 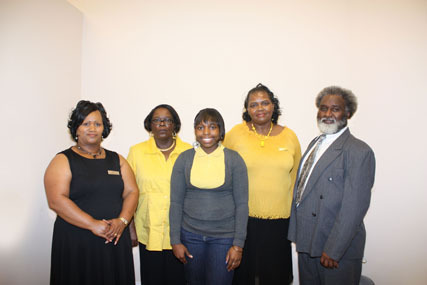 The Trustees administers the financial matters and maintenance of the church, Some members not pictured. Our secretary Pastors assitant, finance secretary and administrative Consultant are vital to the operation of the Church.